Employees exposed to hazardous substances, clean-up, treatment, storage and disposal. Workers involved in an emergency response operation. 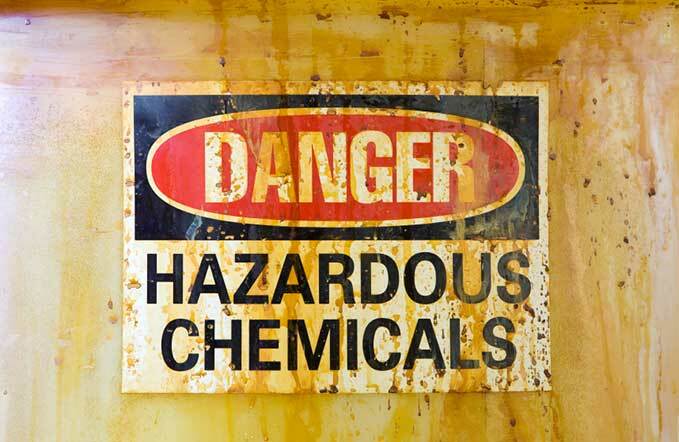 Identify chemicals and hazards they present in the workplace. Identify components of OSHA's Hazard Communication Standard and steps of any Hazard Communication Program. Identify radiation hazards and different types of radiation. Identify different types of respiratory equipment. Recognize and indicate the characteristics of a work zone. List the elements of site security. Identify the types and methods of air monitoring. This is an annual refresher course. You must have completed within the last year HAWOPER 40 Hour, or 24 Hour to complete this course. This course is created and brought to you by 360training, a leading provider of accredited e-learning courses for working professionals through today's leading schools, associations, and corporations. 360training's high-quality e-learning courses assist thousands of working professionals in a wide range of disciplines, helping them to succeed in today's marketplace, to renew licenses, to acquire certifications, or to prepare for new professions.This course was created by the instructional design staff of 360training in connection with field professionals whose many years of experience in adult educational theory and distance learning technology make the process of certification, compliance, and training as convenience, engaging, and cost-effective as possible. After successful completion of the course the certificate of completion will be available for download and print from the training homepage. Each quiz must be passed with a minimum of 70% to proceed to the next lesson. What is HAZWOPER 8 Hour Training? HAZWOPER 8 training is an 8-hour refresher program intended for workers and employees that require refreshing their existing 24-hour and 40-hour HAZWOPER certification. Training consists of 9 topics relating to workplace hazards. They include HAZWOPER regulations, site analysis, toxicology, threat recognition, personal protective equipment, decontamination, medical surveillance, confined space entry, and emergency procedures. There's no room for guesswork when it comes to Hazardous Waste Operations and Emergency Response (HAZWOPER). That's why continuous training and certification are imperative for those who are exposed or potentially exposed to hazardous wastes and substances. To keep their 24-hour or 40-hour HAZWOPER certification, workers are required to take an 8-hour refresher course on an annual basis. This web-based course from 360training.com meets the 8-hour annual refresher training requirements outlined in OSHA 29 CFR 1910.120. It is designed to review the principles that site workers learned from their 24-hour or 40-hour HAZWOPER training. Aside from HAZWOPER essentials, 360training.com also incorporated the latest updates of the Globally Harmonized System (GHS) for Hazard Communication in the training package. Who Should Take this HAZWOPER 8-Hour Refresher Online Course? Learners must have completed the 24-hour or 40-hour HAZWOPER course within the last 12 months as a course prerequisite. HAZWOPER regulations can be confusing, but they don't have to be with our straightforward approach. At 360training.com, you're just a few clicks away from completing the 8-Hour HAZWOPER Refresher Training. Take the course at your convenience wherever, whenever as long as you have an internet connection. Brushing up on your HAZWOPER know-how has never been this convenient! 360training.com's online HAZWOPER refresher training is composed of 9 sections and takes at least 8 hours to complete. Learners must have a minimum score of 70% to pass the quizzes and the final exam. Eligible students will receive a certificate which is an OSHA-accepted documentation of training upon completion of the annual refresher course. Contact 360training.com or reach out to local regulatory authorities for more details about OSHA's 8 Hour refresher online training requirements. I love 360 training, quick and easy while still being detailed on the subject matter. This site is so awesome, I use it every year for my certifications and always look around to find more ways to better myself with their programs! 360training has been the greatest tool for me to learn the basics and necessities of the work place. This 360training is excellent and recommended for all companies using hazard products. is going to prevent many accidents and all employees are gonna be safe. The test and assessment was very informative, it is great to be refreshed about the rules and other instructions on how to handle different situations. i would definitely, recommend this website. This course is right on the money - I would recommend this to EVERYBODY!!! Very well described information and knowledge. Recommend to everyone.